Waiting in line won't help you. Keeping an ear to the ground, checking out Web sites and other news about your favorite musicians might still be of some use. But in the end, for many concerts, it may soon be true that only cold cash - and plenty of it - will get you the hot tickets you are seeking. According to the New York Times, Ticketmaster plans later this year to begin auctioning off the best concert seats to the highest online bidders. The paper says there would be no limit on how high prices could go - it would be simply a matter of how much people were willing to pay. 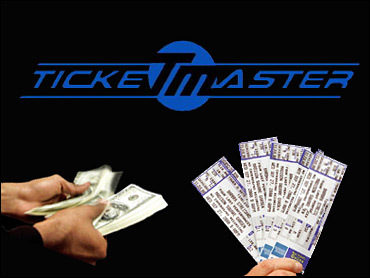 There is no indication at this point on whether Ticketmaster plans to have any rules to keep ticket brokers or scalpers out of the auction, or would allow all comers - individuals and businesses - to compete on the same basis. "The band's biggest fans ought to have the best seats, not the band's richest fans," Tim Todd, 47, a Phish fan in Kansas City, told the Times. An industry analyst is quoted as saying that prime seats at the hottest concerts are "undervalued in the marketplace" and auctions are likely to push prices up as a whole. Tickets have long been resold in auction settings - particularly on eBay, which does a heavy volume in tickets of all kinds. But in many states, the resale of concert tickets is subject to strict rules meant to protect consumers and give the small scale fan a chance to buy tickets for their favorite event. Ticketmaster's plan, by contrast, involves the first time sale of tickets and does not appear to be subject to anti-scalper rules. "The tickets are worth what they're worth," said Ticketmaster CEO and president John Pleasants, in an interview with the Times. "If somebody wants to charge $50 for a ticket, but it's actually worth $1,000 on eBay, the ticket's worth $1,000. I think more and more, our clients - the promoters, the clients in the buildings and the bands themselves - are saying to themselves 'Maybe that money should be coming to me instead of Bob the Broker.' "